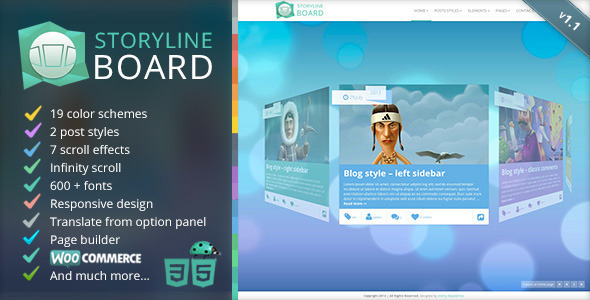 Plecase welcome � STORYLINE BOARD Theme! Different, creative, innovative and user friendly theme that you may enjoy having for your portfolio, blog, online magazine, personal site or something else. This is a stand-out-of-the-crowd product, a perfect board to display your creative work or just amaze your friends with a new generation blog.